REST API Client. For example, RESTClient Add-On for Mozilla Firefox browser. 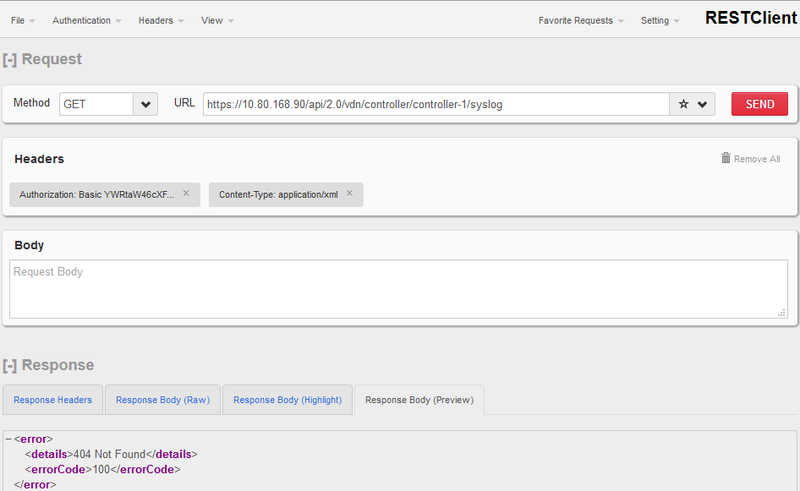 The request body to configure this is fairly straight forward, as there are only a few elements that can be configured. Before we begin configuring the Syslog service using the REST API, let us take a brief look at what REST client(s) are available to enable us to quickly perform this configuration programatically. Once you are done with enabling either of these plug-ins, you need to know couple of other pieces of information before you send the REST request body to the NSX for vSphere Manager to setup the Syslog for NSX for vSphere Controller. 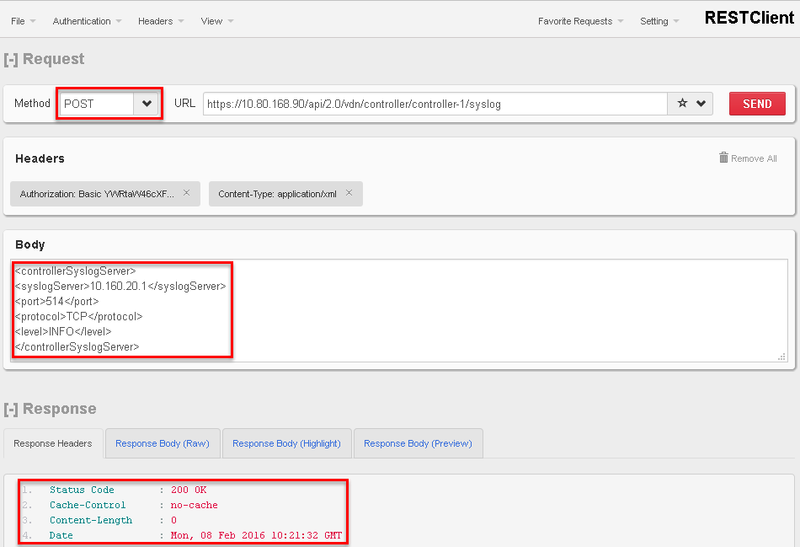 Confirm Authorization & Content-Type headers are properly setup. If you want to retrieve details about the configured syslog exporter on the specified controller node, you need to send this HTTP request. If you want to delete the syslog exporter on the specified controller node then use this HTTP request. Please refer to VMware KB Article “Configuring syslog server for VMware NSX for vSphere 6.x controllers (2092228)” for more details.